Dry erasable. 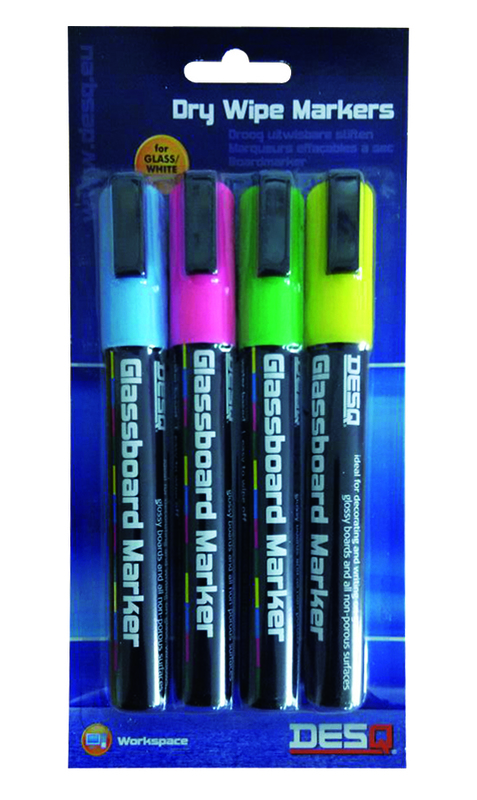 Set of 4 fluorescent colors. Blue, pink, green, yellow. 5,5 mm tip.